Why You Might Want to Replace Your Air Conditioner Before Winter	| Comfy Heating Air Conditioning Inc.
We’re coming to the end of summer, and while we still have a few weeks of warm weather left, people are already starting to think about getting their homes ready for the cooler months. Before you shift into heating season mode, though, there are a couple of considerations you should still make for your air conditioner. Namely: should you replace your air conditioner before summer ends? It may seem like a weird question, but there’s good reasons to ask it. Read on to find out why. Is It Costing a Lot to Use? Obviously, you’re going pay more to use your air conditioner during the months when you rely on it to keep your home from becoming an oven during daylight hours. If the increase in energy costs seems wildly out of proportion with how often you’re using the system, though, it might mean that you have more serious problems with the system. Years of wear and tear might cause such a drop in efficiency that the air conditioner has to operate for longer periods of time in order to compensate, contributing to higher operating costs. Is It Breaking Down Often? Air conditioners that break down multiple times a year are likely in need of replacement. Systems tend to do that when the parts inside them can’t keep up with demand anymore. The issue will only get worse over time. Is It Old? The average air conditioner can be expected to last a good 10–15 years before needing to be replaced. After that, it will tend to accumulate issues like those listed above until it finally breaks down entirely. If your air conditioner is older than 15, it’s almost certainly time for a new one. Okay, so you have an air conditioner that needs replacing. Why would you do it at the end of the summer? Precisely because that’s a weird time to do it! That may seem glib, but the reality is people are mostly focused on heating services right now. Demand for air conditioning systems is lower, which means you’ll be more likely to save money and have an easier time getting one installed. 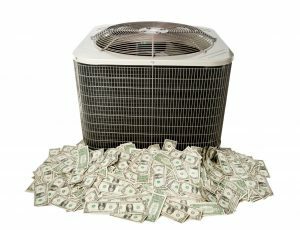 If you wait until before summer to install a new system, you’re going to be competing with everyone else in your area who also is trying to have a new air conditioner installed. Why not have it done now, so you don’t have to worry about it during the busy season? Comfy Heating & Air Conditioning Inc. offers a full range of AC installation services in San Ramon, CA. If you need a new air conditioner installed in your home, contact us today to schedule an appointment.